Graduation is a life-altering, once in a lifetime event. At Gradshop, we understand the significance of this occasion and are absolutely committed to providing you - our valued customer - high-quality products, exceptional service and the best shopping experience possible. Gradshop is a leader in the development, manufacture and distribution of premium graduation apparel and accessories at affordable prices, using only the best materials and beautifully crafted designs in our full line of graduation regalia and accessories. We service over 100,000 schools around the globe with specialized offerings for each age group and category. 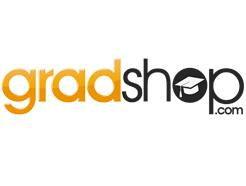 From products for children in Pre-School/Kindergarten to the High School or College graduate, Gradshop has what you need. Our mission is to provide only the very best in customer service and value for your hard-earned dollar.